Don't miss one of the most exiting local ski movies of the year! 45 minutes of nonstop thrills that will keep you on the edge of your seat. 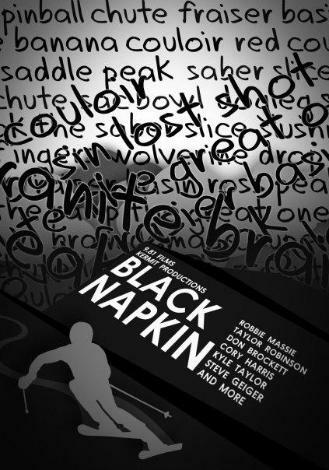 From big drops to even bigger straitlines, Black Napkin has it all. What started as a group of ski buddies scribbling ideas for a movie on a cocktail napkin has turned into a film that few will soon forget.